Audemars Piguet is in the tradition of making exclusive watches. 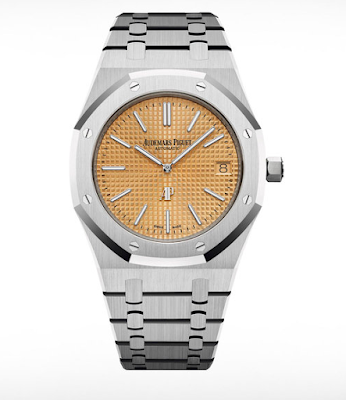 And its Royal Oak series remained similar from its making. 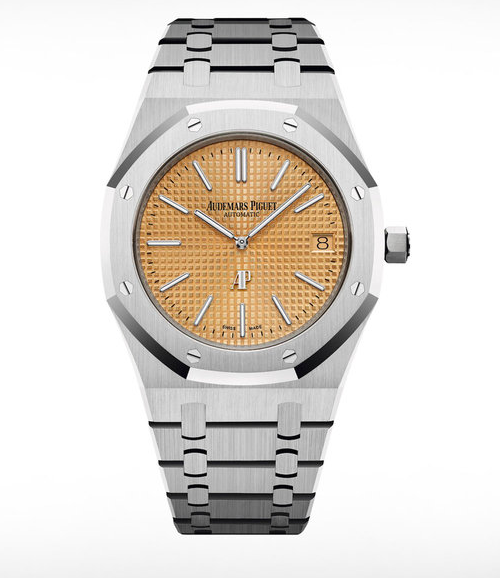 The Royal Oak Jumbo Extra Thin Edition is being something more subtle than earlier version. It has got conventional look with 18 carat white gold casing which measures 39mm and 8mm thick. The signature octagonal shape with hexagonal screw are same with pink gold Petite Tapisserie dial. This watch is limited to only 75 units only. Price of this watch is $44,500.